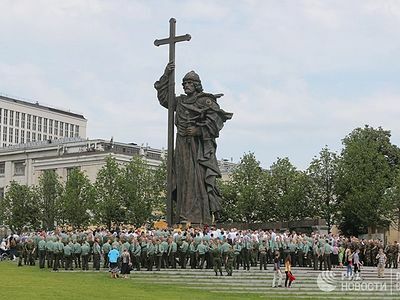 “This important date was a subject for consideration at the meeting of the Holy Synod today,” Vladimir Legoida, the Chairman of the Synodal Department for Church and Society and Media, told journalists yesterday, “and it was decided to hold festive memorial events, conferences, concerts, and exhibitions dedicated to the 1030th anniversary of the Baptism of Rus’ in our metropolitanates and dioceses.” Wherein Lies the Moral Power of Holy Prince Vladimir? Why is Prince Vladimir called holy and given the title Equal-to-the-Apostles? 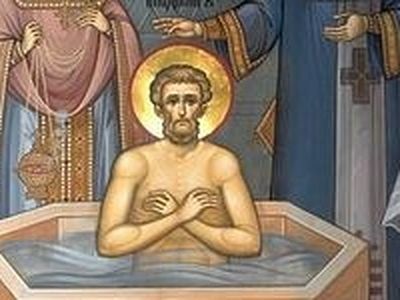 He converted from the darkness of paganism to the light of Christ, receiving baptism, baptizing the Kievans and sending emissaries to baptize the people of the other cities and regions of his duchy. 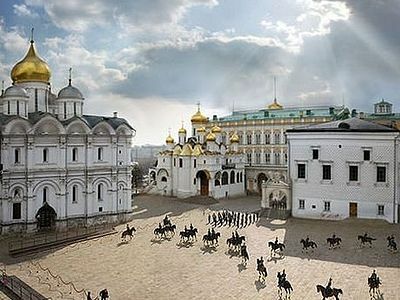 He was among the first of the All-Russian rulers to become a Christian, and originated the Christian form of government for Russia. From his time, the Russian sovereignty becomes Orthodox, and Christianity makes its way into all the spheres of social and civil life. "According to Fr. Nikolai, the names of the bishops from each delegation will soon be published on the official site of the Ukrainian Orthodox Church. Only the Romanian Orthodox Church and the Orthodox Church in America will be represented by priests, and only the Churches of Antioch and Greece will not be represented, “and that only for technical reasons,” Fr. Nikolai writes." And "artikel" is not a word. Stop intentionally misspelling words. So why does your previous artikel say: The delegations are representing the Alexandrian, Antioch, Jerusalem, Georgian, Serbian, Bulgarian, Cypriot, Albanian, and Polish Orthodox Churches, as well as the Orthodox Church of the Czech Lands and Slovakia. Wakey! Constantinople sent a delegation to Ukraine. It was Greece and Antioch that didn't send anyone.